The Dash Cam Hard wire Fuse Kit has everything you need to hard wire a dash camera to your car’s battery. 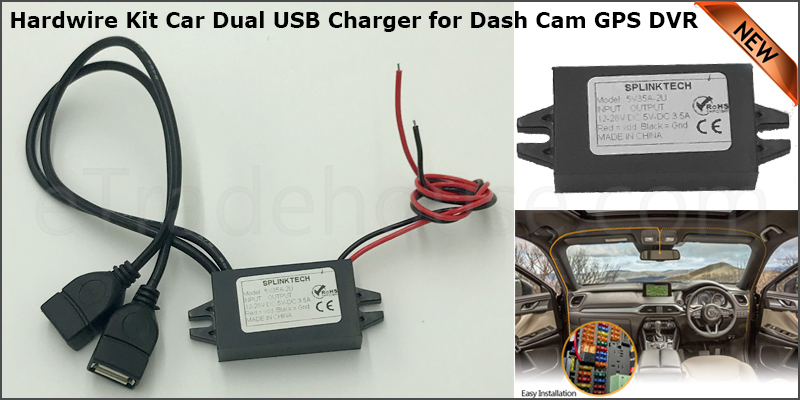 It creates a new circuit in your fuse box that you can use to power your dash camera 24 hours a day. You can record video in your car continuously without draining the battery on your camera. · It can be used for LED car display,Mobile, pad, GPS, MP3, MP4 car DVD, hard disk player and the stereo. · Light compact, convenient to use and transport. · Suitable for most smart phones. · Length of in-out wire: 30cm Approx.